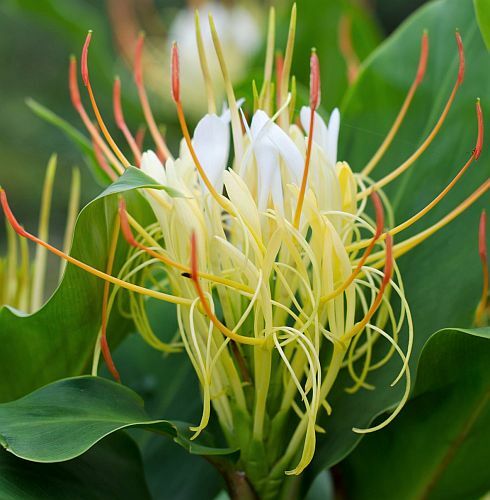 Hedychium ellipticum, a ginger with clusters of slender white flowers accented by fiery red anthers. Very fragrant. Native to the Himalayan Mountain region.